Is your turnover affecting the day to day operations? Do you spend so much time recruiting that it interferes in getting other things done? Are you known as a high turnover company? Do you have any idea how much money it is costing you? Would you like help getting off the high turnover treadmill? 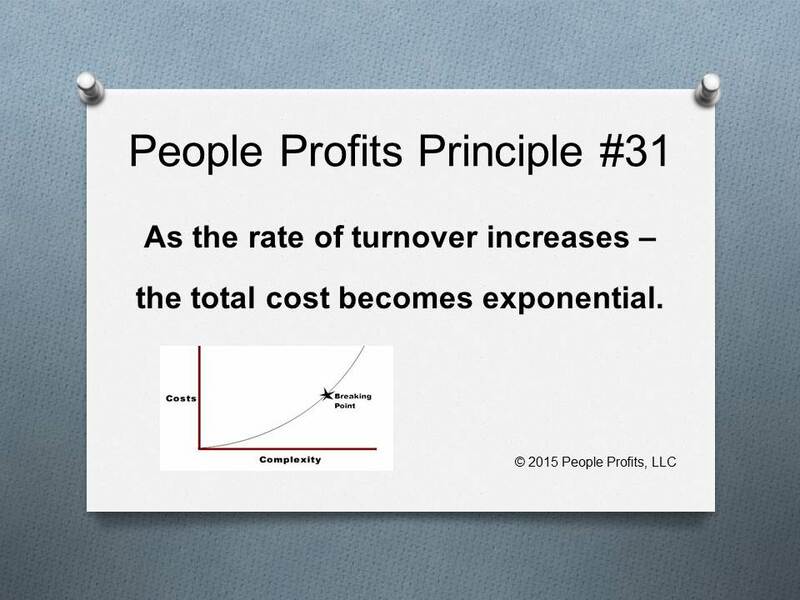 When employee turnover is over 20% annually it is hard to underestimate the total cost to the organization. It is no longer just the cost of a vacant position, recruiting, selecting, on-boarding and employee development. The higher the turnover rate, the higher the employee disengagement, time spent by employees looking at other opportunities, the better the chance that someone will decide to take an offer that they would have otherwise rejected and the list goes on and on.